The Transcontinental Railroad 150th Anniversary Special Edition Gold - Wellington LTD. Signed into law by President Abraham Lincoln on July 1st, 1862, and completed in 1869, the approval and building of a “Transcontinental” railroad dramatically changed the future of our nation and brought us together through “two thin ribbons of steel”. 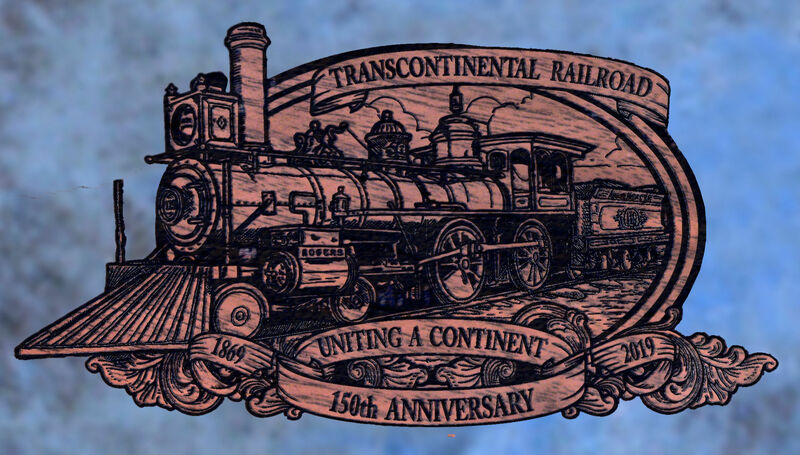 In celebration of this signature event, Wellington LTD is proud to present The Transcontinental Railroad 150th Anniversary Special Edition. Built on a collector’s grade Henry .45 LC. caliber rifle, the barrel, receiver and buttplate are plated in 24-carat gold with the buttstock laser engraved and covered with highly detailed images inspired by the people, places and events from the Transcontinental Railroad’s 150 years history! Your Local Train Station can be customized in to the rifle. 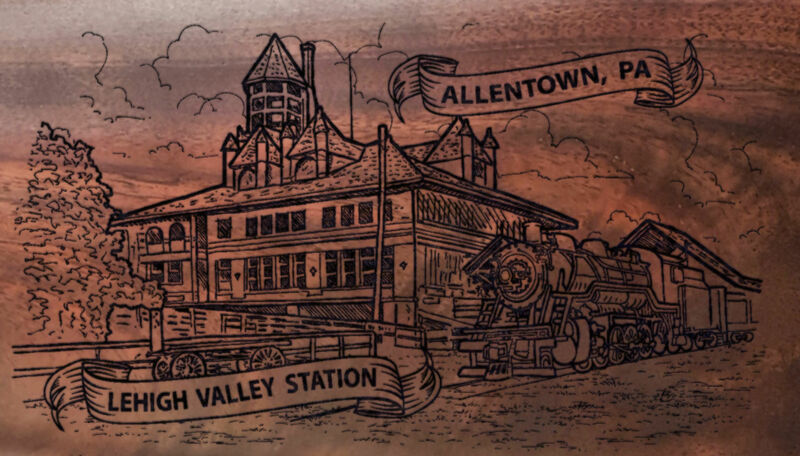 This Transcontinental Railroad 150th Anniversary sample rifle was customized for the Allentown Pennsylvania Railroad station. Your rifle can be customized for your regional railroad station of your choice. Customization can be a great tribute to Dad or Grand Dad!